Toddler Girl's Ugg Corene Patent Leather Boot, Size 6 M - Black from Nordstrom. l to feel and wear like genuine shearling. 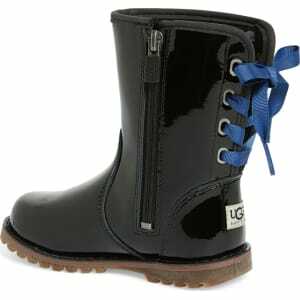 Style Name: Ugg Corene Patent Leather Boot (Walker & Toddler). Style Number: 1086006. Available in stores.